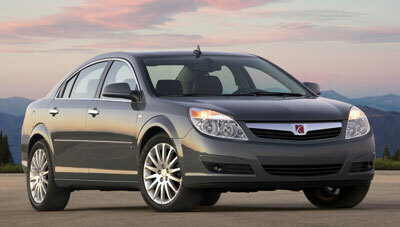 The Saturn Aura is the “2007 North American Car of the Year.” The award is based on votes from nearly 50 independent automotive journalists scattered across the U.S. and Canada and for that reason is widely considered the most prestigious of its type. The North American Car of the Year award is designed to recognize the most outstanding vehicles of the year based on many factors, including innovation, design, safety, handling, driver satisfaction and value, says NACTOY organizer Chris Jensen of the Cleveland Plain Dealer. To be eligible vehicles must be “all new” or “substantially changed” from the previous model. The jurors for the award represent newspapers such as USA Today, the San Jose Mercury News, The Chicago Tribune, the Boston Globe, The Plain Dealer, the Toronto Star; magazines such as Fortune, Car and Driver, Road & Track, AutoWeek, and Popular Mechanics; online media such as Edmunds.com and NewCarTestDrive.com; television broadcasts such as MotorWeek and Autoline Detroit; newsstand buyer’s guides such as Consumer Guide; and trade publications such as Automotive News and Motor.